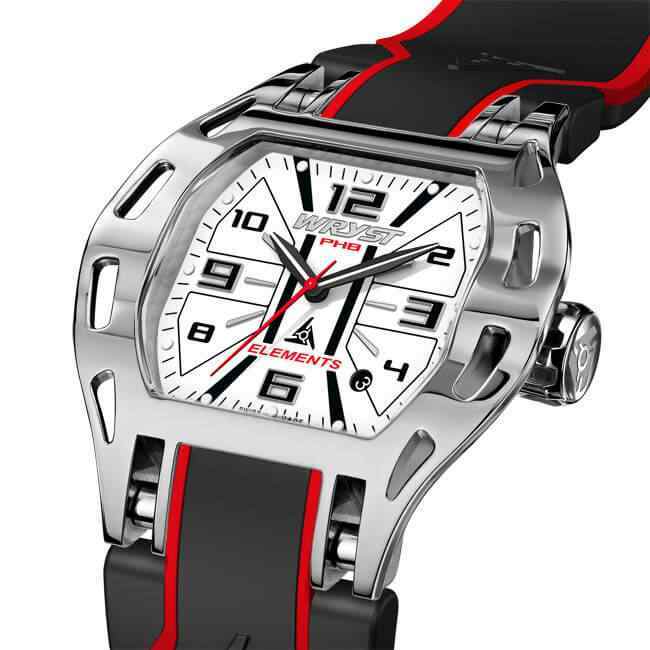 Mens sport watch Wryst Elements PH8 Swiss made in limited edition with stainless steel polished case. The outdoors lifestyle watches for sports Wryst Elements inspired by extreme sports and adventure are at the forefront of fashion design. 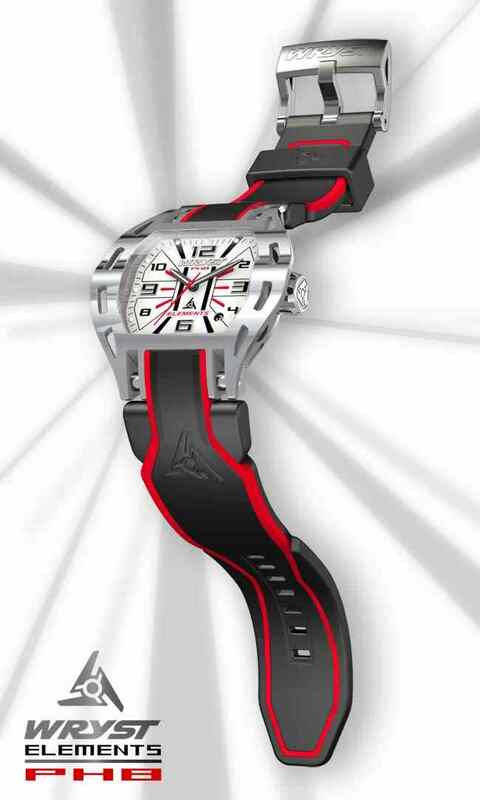 Unleash yourself with an exclusive outstanding sport watch with aggressive style. 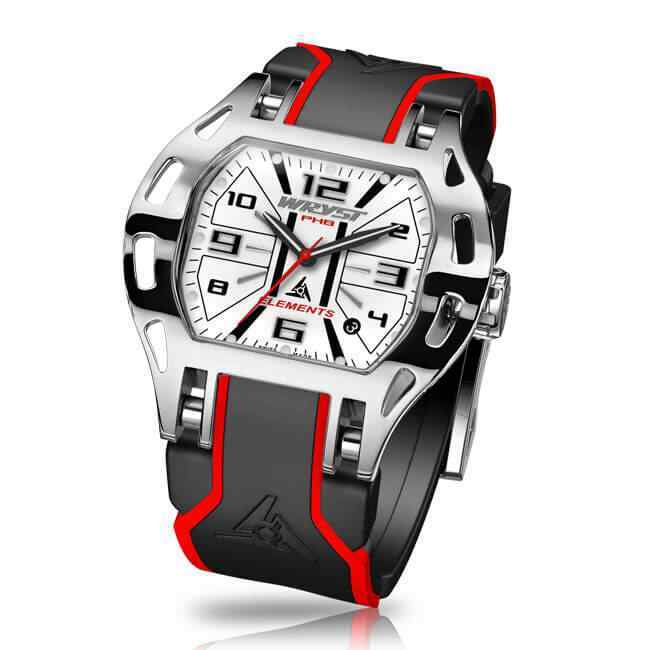 Two different quality silicone bracelets are included with this mens sport watch. 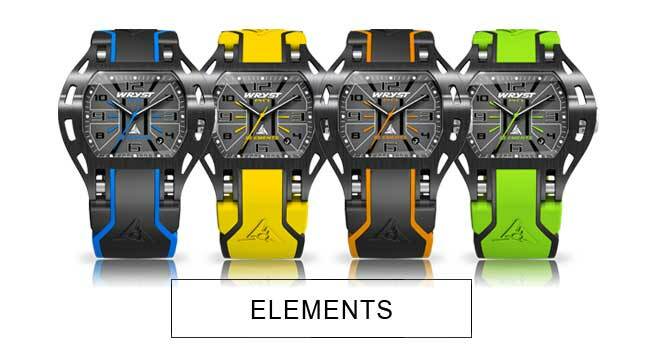 The unique mens sport watch Elements PH8 is dedicated to charismatic individualists with a passion for outdoor sports. Crafted in steel and with a groundbreaking futuristic design. 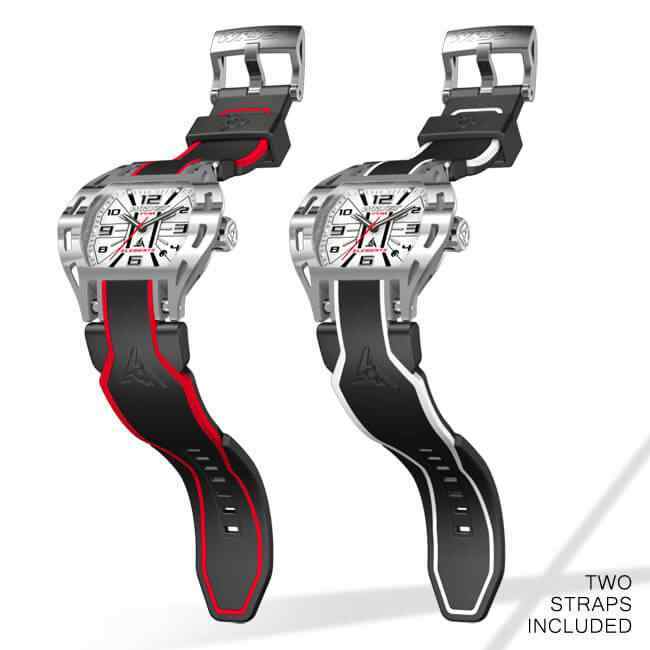 Two bicolor silicone straps are included with each watch from the Wryst Elements Swiss watches collection. Feel awesome and exclusive with your limited edition PH8 polished grade 516 stainless steel casing and a well contrasted white dial with black hands. All watches the serial number engraved on the case back from 01/75 to 75/75. Be ready to go on an adventure with one of the most stylish sports watch you have ever come across. Produced exclusively in a limited edition of 75 pieces. Be unique, get yourself a Wryst Swiss watch. The timepiece has been tested for up to 10ATM (100 Meters) water resistance. My first purchase with Wryst, will not be my last. Beautiful watch fantastic customer service, quality style and great price all in one package. Joanne in Sales a pleasure to work with. They worked with me to make sure I got the watch for me not many companies would give you that personal touch now days. Already looking forward to getting my next watch. Very nice watch well built and designed - Prompt delivery and excellent customer service. Thank you. Over the moon with my purchase. My new Wryst Element PH8 looks awesome thank you!